The 12th annual Battle in the Boro, presented by National Exposure Basketball, saw Team Penny Pruitt 2017 (based out of the Memphis, Tennessee, area) win the Boro’s Junior Showcase (top division of players of rising senior status or younger). All told 642 teams gathered in Metro Nashville, Tennessee, from July 10-13 for the event with over a 1000 college coaches (NCAA Divisions 1, 2 and 3, NAIA and junior college) from all over the USA present to dissect the vast pool of talent ranging from middle school to rising senior age. This one was over early as the Tennesseans had legs while the Texans, who survived overtime the prior night, didn’t. 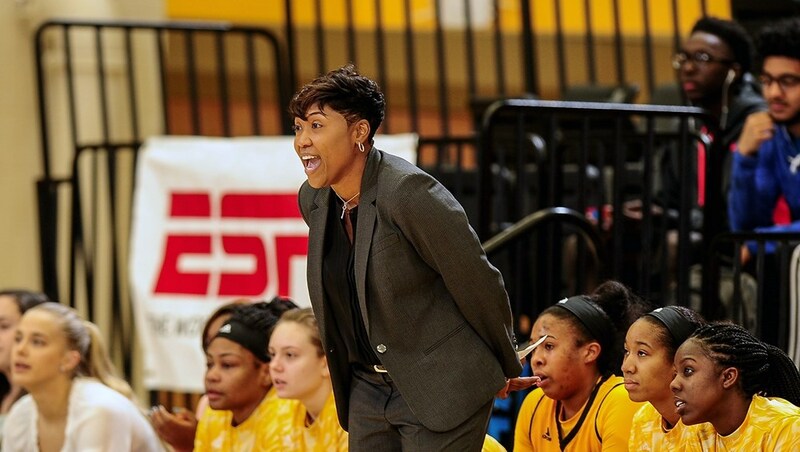 Frustration built in half two as the AD head coach was ejected with a second technical. Tesia Thompson led Team Penny (sponsored by former NBA play Penny Hardaway) with 22 points. AD was led by Adriana Whitfield (5-6, guard, 2018) with 18 points. This was something of an upset as Sports City is stocked with Power 5 talent including a couple of USA National 16U team members. Conversely, Team Penny is perceived to have primarily mid-major talent but in this match-up had an edge in quickness, particularly when it came to penetration. As in its semi, Sports City fell back early but closed to 36-34 at the break. Key to Penny’s first half success was 3 three’s by guard Selena Pruitt (5-6, 2017) keeping the Ohioans from thinking zone. Half two was marked by repeated successful drives by Penny’s All-tournament guards (see below) Tesia Thompson (finished with 14 points) and Jireh Washington (finished with 10 points). When not scoring themselves, they dished to center Antionette Lewis (6-1, 2017) who finished with a game high 20 points. Using successful delaying tactics down the stretch, Team Penny was not threatened in the last four minutes. Sport City was led by All-tournament team member Zia Cooke (see below) with 14 points. 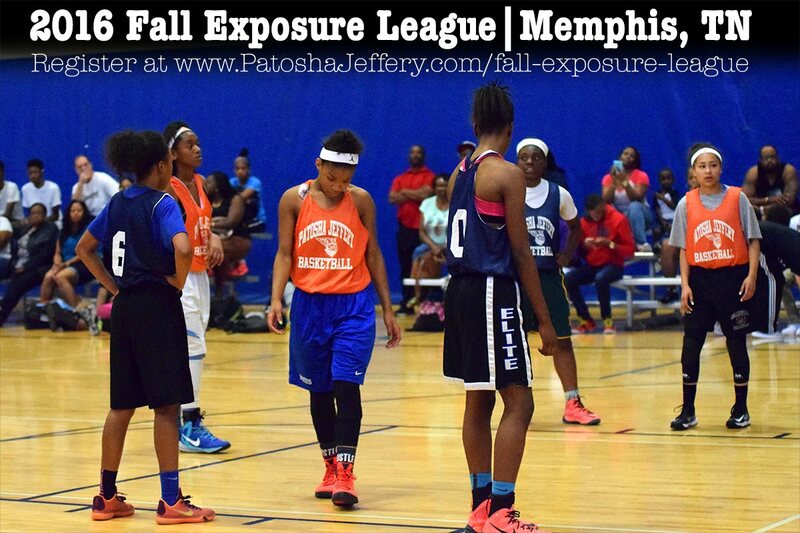 Blue Star Media evaluators covered the event and they had plenty to say about Memphis players. Top honors in the elite Junior Showcase Division were claimed in Wednesday’s final game as Team Penny out of Memphis, Tennessee stretched a two point half time margin into a 70 – 55 championship victory over renowned Sports City U from Ohio. 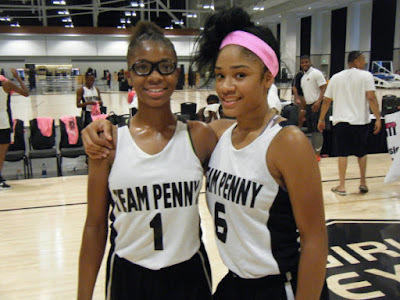 Power forward Antoinette Lewis paced four players in double figures for Team Penny with a 20 point performance. Penetrating guard Tesia Thompson added 14 while long range shooting Selena Pruitt added 13 more and Jireh Washington chipped in 10 of her own. Lewis, Thompson and Pruitt will be seniors this fall while Washington is entering her junior year. 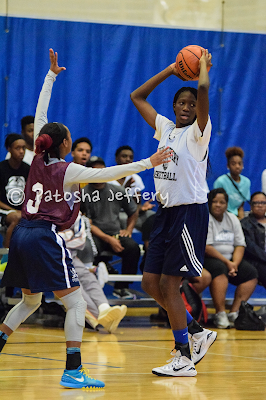 Jayla Hemingway- 5-11 – 2019 – Combo Guard – TN Flight Silver – Hemingway is a high motor, strong player who competes relentlessly on both ends of the floor. She is a smart player that that uses quick footwork, timing and skill to maneuver around opponents in the paint and finish at the rim. 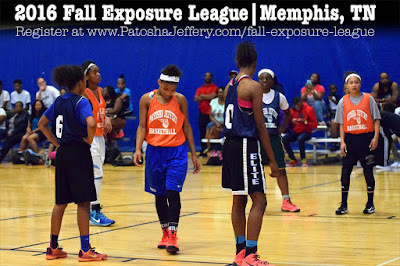 Elizabeth Dixon: If you are looking for an interior prospect on the fast track to stardom on the college scene, this 6-3 star from Ridgeway (Memphis, Tennessee) is a great place to start. A versatile performer who can play both the power forward and center positions, Dixon possesses superb athleticism, length, shot-blocking presence and mobility. The only element of her game that is still a bit unpolished is her offensive consistency. But summer may very well solve that problem for the 2018 rising star because Dixon will be challenged by the nation's best in Nashville, Tennessee, early on this month.